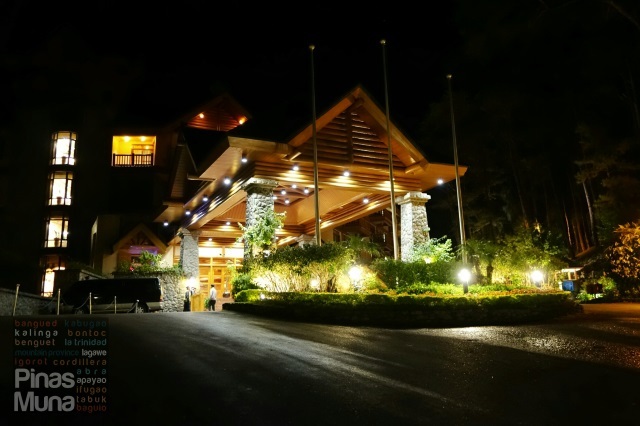 The Manor at Camp John Hay is a 176-room luxury hotel located at the former American air base in Baguio City, featuring a four-story property built in a log cabin design and boasts of five-star accommodation, amenities and services. 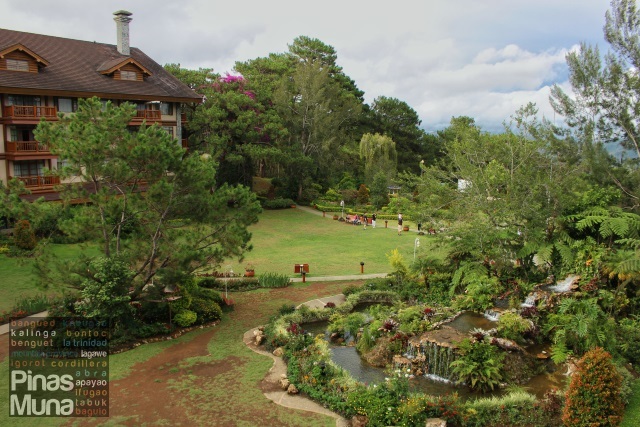 The hotel beautifully blends with the surrounding pine trees and it is one of the very few hotels in Baguio City that offers a scenic view of the verdant side of the Cordillera mountain range that is not obstructed by buildings and houses. 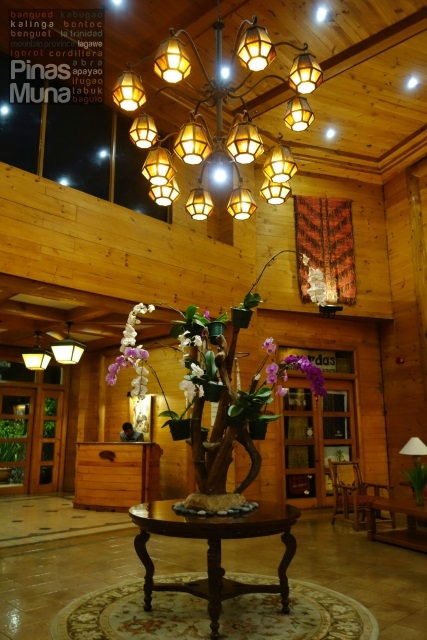 The Manor officially opened in year 2000 and is among the few hotels in Baguio City that has an outstanding luxury log cabin architectural design. At 15 years old, the hotel excellently maintained the building's condition, the external paintwork looks fresh and there are no maintenance issues evident to the guests. Adding more touches of luxury is the hotel's well manicured garden that makes for a suitable place for morning or afternoon strolls. The lawn is also perfect for garden weddings and other events. The hotel's reception area is very spacious. The high ceiling makes the area feel airy and expansive, while the wood panels on the wall add warmth into the ambiance. We particularly loved the various handwoven fabrics hanging on the wall, adding more color and life in the interior, as well as sense of culture in the area. The front office receptionists are very well groomed and takes pride in wearing their Cordillera-inspired uniform. 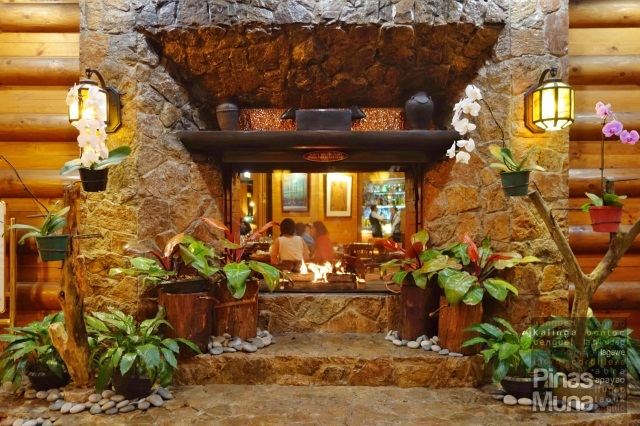 They are very welcoming, greet the guests with a genuine smile and provide a sense of arrival. Check-in process was efficient and was handle very professionally. Service was quick yet very personal. Near the reception is a seating area that can comfortably accommodate guests while waiting. 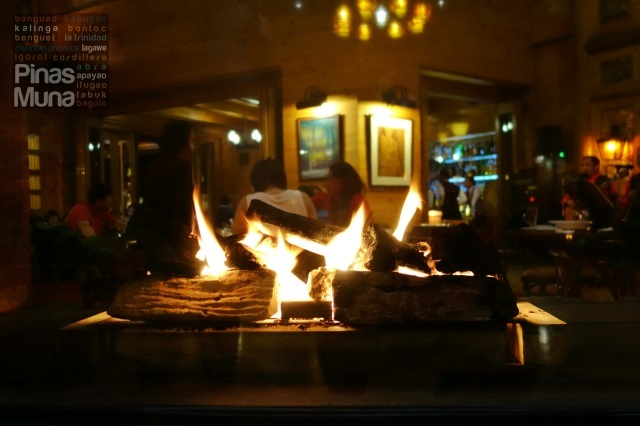 A fireplace serves both aesthetic and functional purpose at the area. There's also complimentary, free-flowing drinks available for the guests. We stayed in a Deluxe Room with veranda that faces the garden. It's spacious at 38-46 sqm, much bigger than the usual 30 sqm. 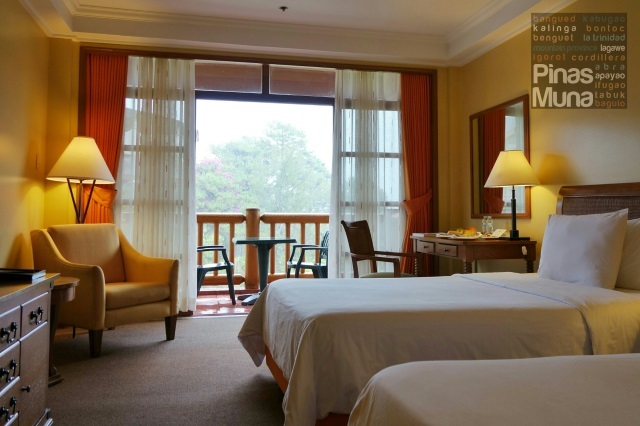 deluxe rooms of other first-class hotels in Baguio. One-bedroom Suites (78-84 sqm.) and Two-Bedroom Suites (106-113 sqm.) are also available. The luxurious space of our room allowed for twin beds and furniture pieces to fit inside, with enough free space to efficiently move around without obstruction. The 10-inch mattress with topper gave us a very comfortable sleep. It was covered with a 300 threadcount linen that was soft as silk, and smelling clean and fresh. Two fluffy pillows are provided per bed. Opening the windows will allow cool and fresh air to circulate inside the room. Excellent airflow inside the room is enhanced by a stylish ceiling fan which makes for a mild micro-climate inside the room. Other room amenities include a 32" LCD TV with cable channels, an electric kettle, a French press, a mini-refrigerator with minibar service. Free WiFi Internet connection is also available inside the room. 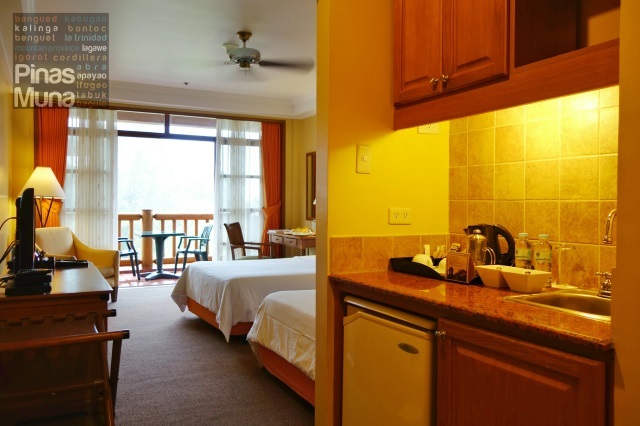 Complimentary drinking water, tea and coffee grounds are also provided. 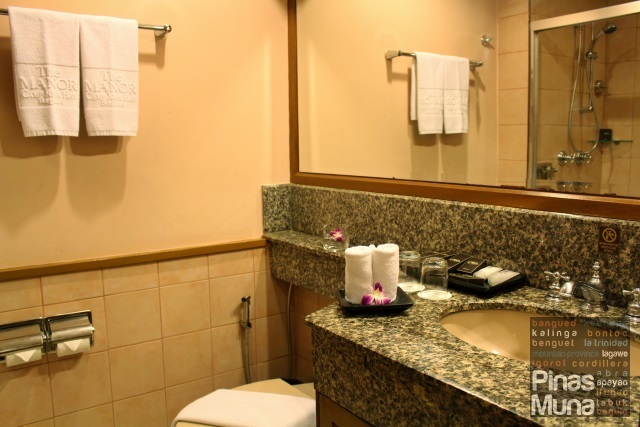 The ensuite bathroom is also spacious, with enough room for two persons to comfortably move inside. The walls and the tiles are very clean and well maintained, no sign of mold and mildew. The counter top is clean, the tap has consistently strong flow of water. The toilet is installed with a bidet. The walk-in shower is enclosed with a sliding glass door. 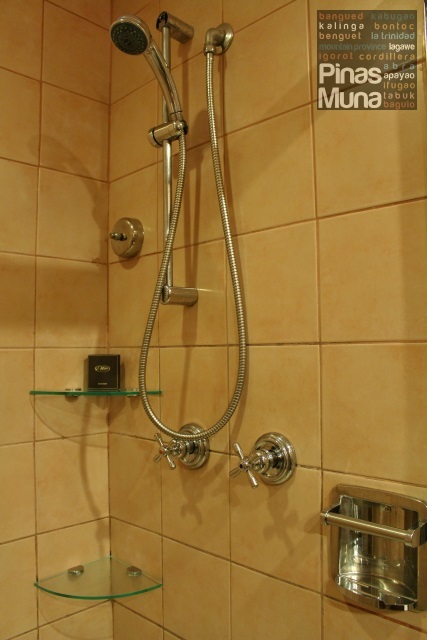 Heated shower has strong and consistent water pressure, and the temperature was easy to control. Complete set of toiletries are provided including shampoo with conditioner, hand soap, body lotion and dental kits. Clean towels are also provided. 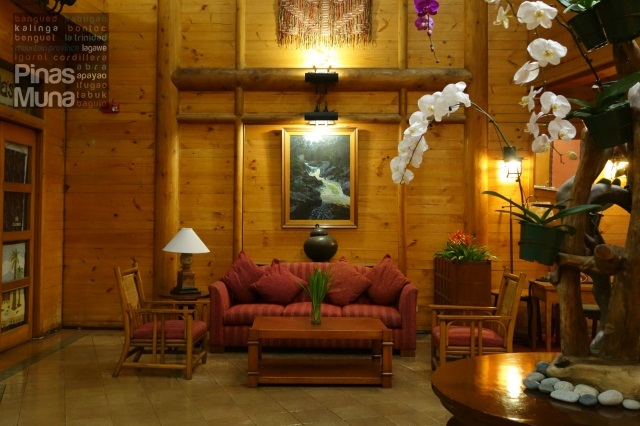 The log cabin design was consistently executed in public areas. Floor was clean all throughout. Wooden walls are kept clean and dust-free, with no evident scratches, marks, stains or other maintenance issues. There's an excellent level of comfort in all public areas. There's consistent flow of fresh air, while temperature is kept in a mild level, not too cold and not too warm. 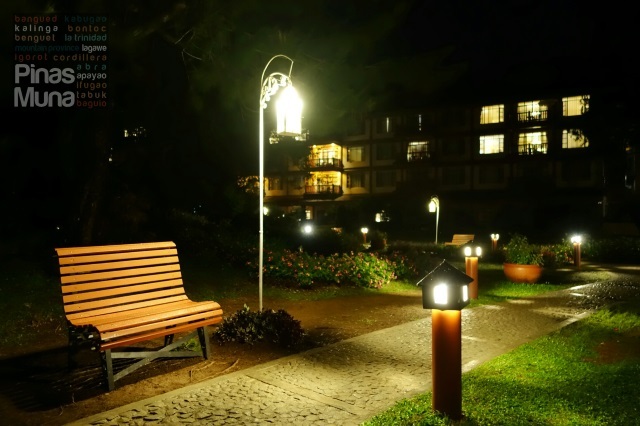 The hotel has excellent quality of lighting, keeping public areas well-lit with a touch of warmth and coziness. 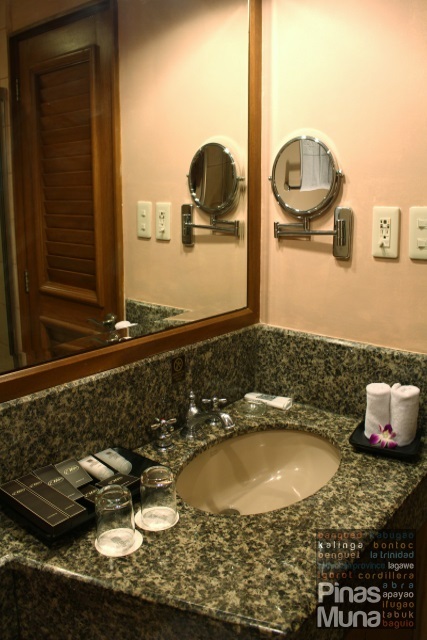 High quality furniture and fixtures are used around the hotel. Wooden tables, elegant tile-work, paintings, and accent pieces create a refined ambiance suitable for the discriminating taste of leisure travelers. The property is equally beautiful at night. Seat by the fireplace at the lobby and enjoy a warm espresso-based drink and grab some pastries from the hotel's patisserie. 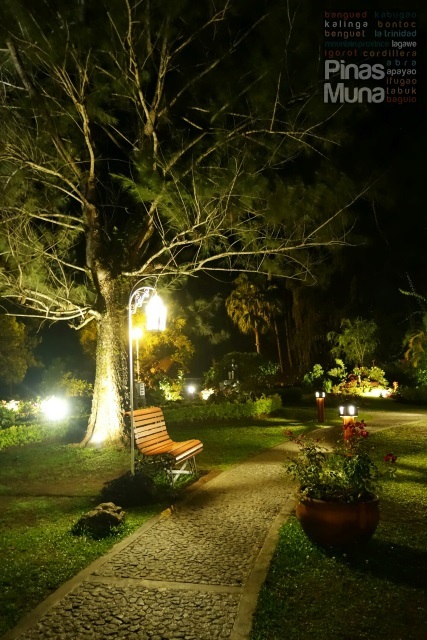 On a clear starry evening, you can enjoy the cold breeze at the garden while smelling the scent of the flowers in the air. CCTVs are scattered around the property with a dedicated team of security personnel monitoring the cameras 24 hours a day. 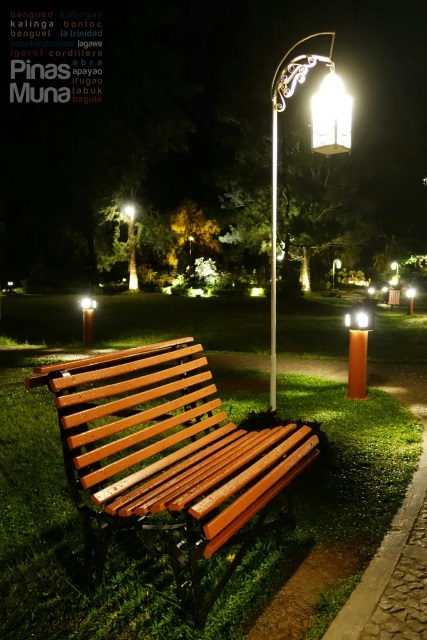 Security guards also patrol the grounds ensuring the safety of the guests at all times. Before going to sleep, we availed of our free welcome foot massage. It was the best 15 minutes foot massage I ever had. The smell of the strawberry massage oil was very relaxing! Wake up to the relaxing sound of the garden fountain, open the screen door, take a deep breath of fresh ai,r and greet the new day with a smile. 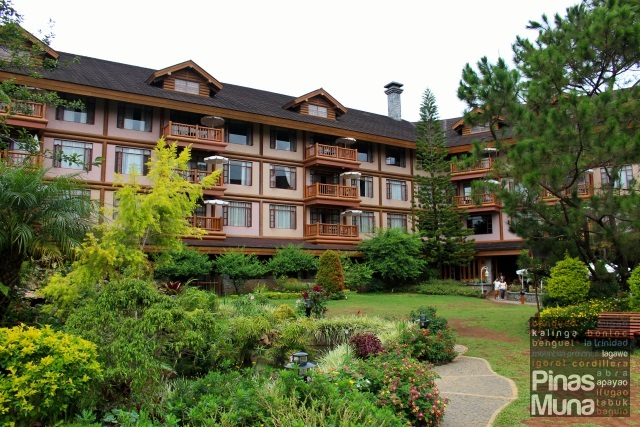 Mornings at Baguio can't be better anywhere else than at The Manor. The sight of a verdant garden, tall pine trees, the mountain range at the background and the golden sun putting life to everything it touches, what else can you ask for. 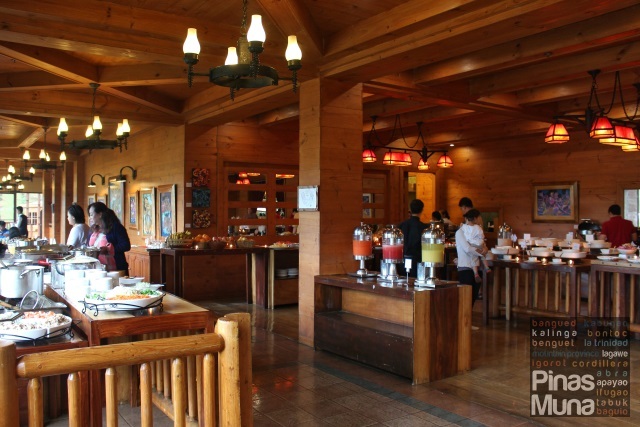 Your stay at The Manor won't be complete without experiencing the best buffet breakfast in Baguio City, right here at Le Chef. 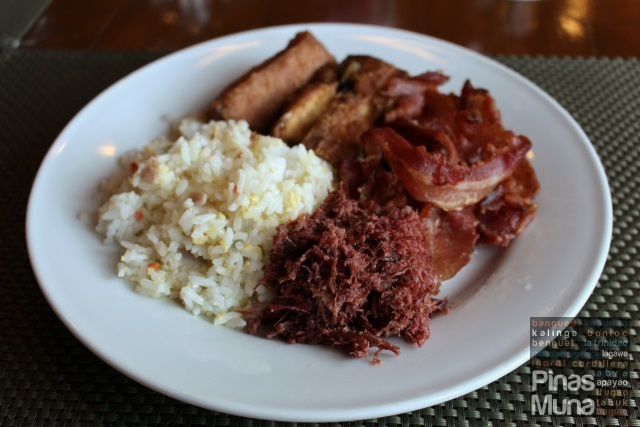 The restaurant serves the widest spread of breakfast choices in Baguio, and more than the volume, it is the quality of their dishes that sets Le Chef apart from other breakfast buffet offerings by other hotels and restaurants. 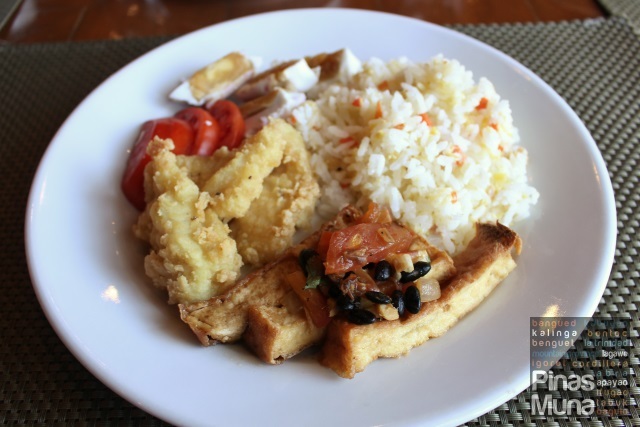 It was back in March 2014 when we first tried the breakfast buffet at Le Chef, as part of the annual Baguio Food Tour event. 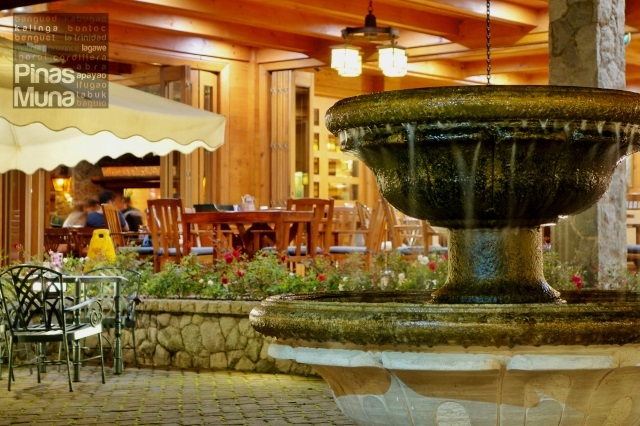 We fell in love with it so much that we included it in our list of 15 Must-Try Baguio Restaurants for 2015. 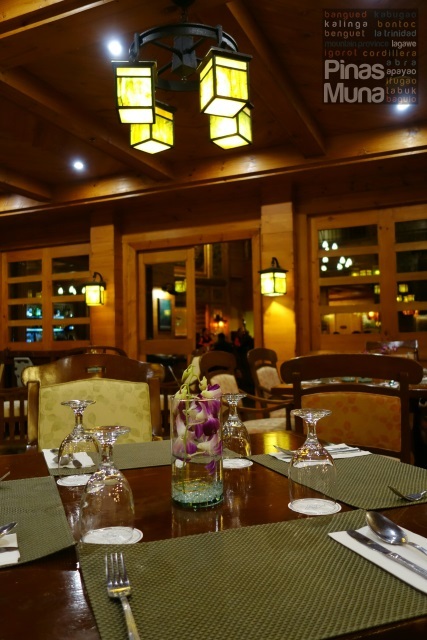 And just recently, we are overjoyed to be back here at Le Chef during a weekend trip to Baguio. Here are some of the dishes we had for breakfast at Le Chef during our latest stay at The Manor. 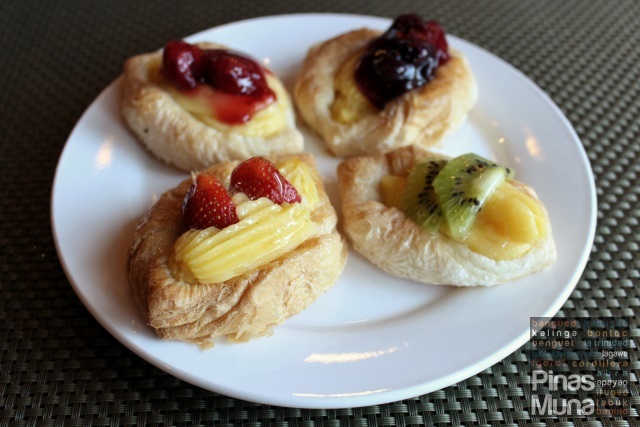 Le Chef serves some of the best pastries, even better than pastries you can find in buffet restaurants in Manila. 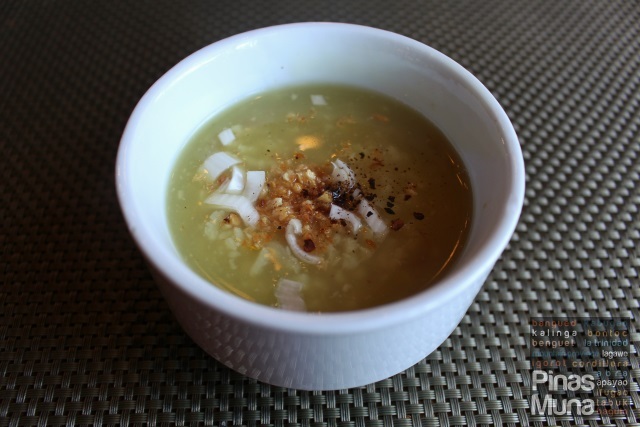 The congee is just perfect for the weather here in Baguio so I also gave it a try. Very comforting! For the mains, we had bacon (very crispy bacon! ), corned beef (which doesn't taste like it's canned), tofu, fish fillet, salted eggs and tomatoes. We also had fresh fruits for dessert. Everything went well with the Benguet coffee they serve here at Le Chef. Writing this section of the article really made me hungry and made me want to plan another trip to Baguio! NOTE: Breakfast is not yet included in the room rate. 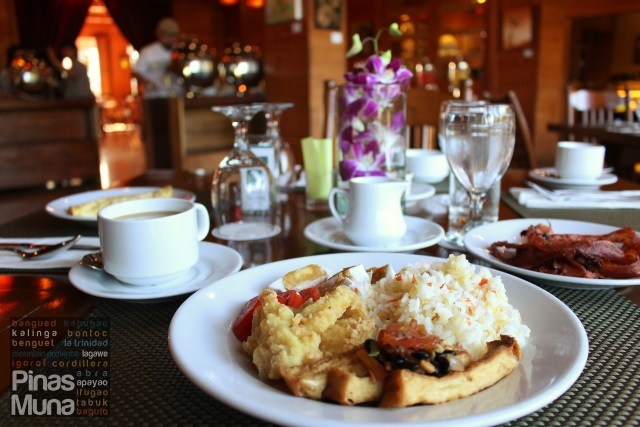 Guests can avail of the breakfast buffet for P720.00 nett per person. Children 10 years old and below get 50% discount. 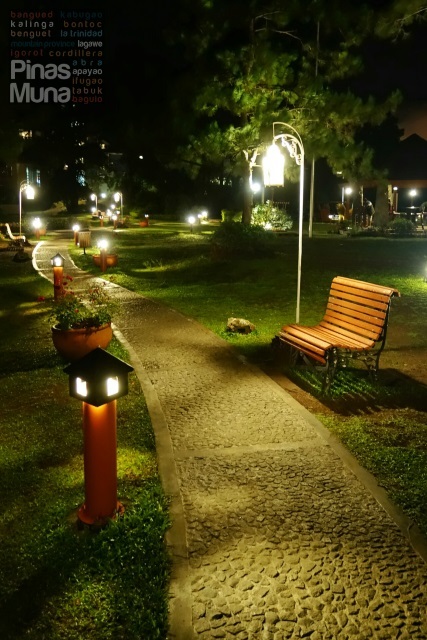 Our weekend stay at The Manor at Camp John Hay was absolutely rewarding! 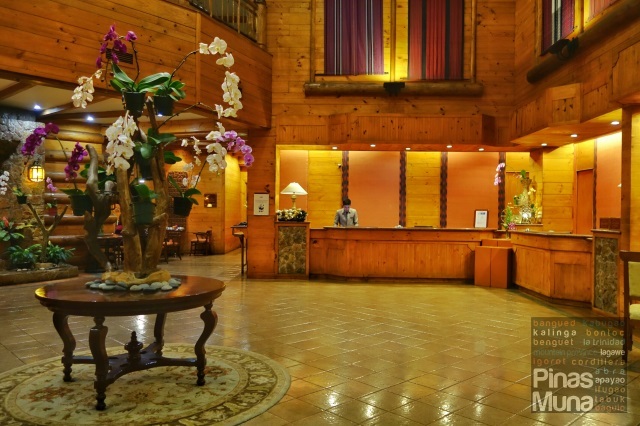 The tastefully designed rooms offer authentic log-cabin accommodation experience. 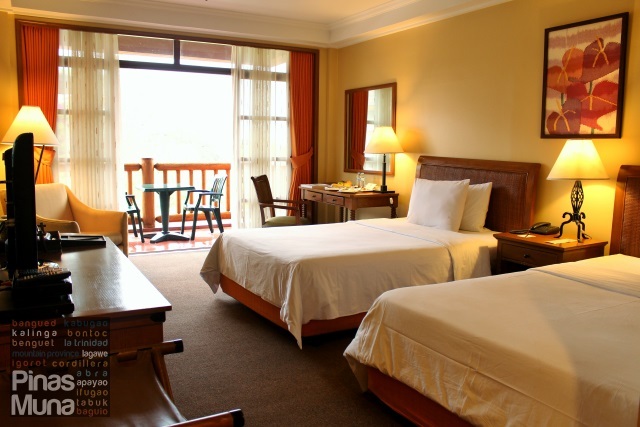 Being located inside Camp John Hay ensures the guests with a tranquil sleep away from the busy city center. The hotel's well-trained and very hospitable staff further elevates the guest experience to a level expected of a world-class luxury hotel. 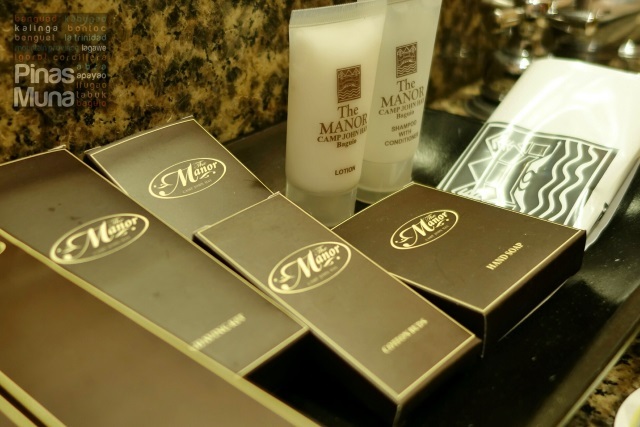 It is no wonder that The Manor is the hotel of choice of leisure travelers. 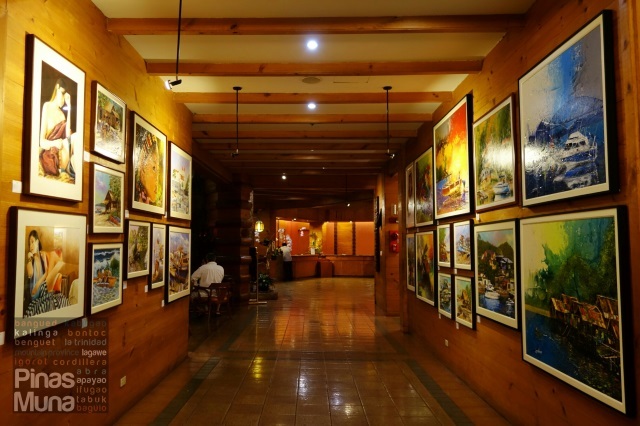 Baguio City may be the Summer Capital of the Philippines, but visiting Baguio City during Rainy Season is a totally different, yet enjoyable experience. 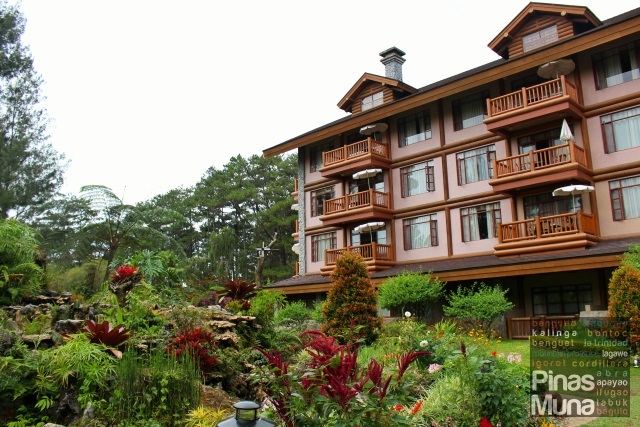 In fact, Baguio City is one of our favorite travel destinations during rainy season.